The danger doesn’t end when the mission does. It turns out, astronauts have much bigger things to worry about than extraterrestrials that don’t come in peace, and it’s about time we started talking about them. After all, not only do we regularly send astronauts up to explore the vast mysteries of space, we also have the promise of space tourism looming on the horizon, government agencies racing to explore Mars, and private companies investing millions to figure out how we can live on the Red Planet once we get there. Here are some of the hazards that our astronauts face both during space exploration and after they return home. Weightlessness may seem like one of the most enjoyable things about space travel, but microgravity takes a serious toll on the human biological system. The absence of gravity in space tends to make our cardiovascular system less efficient. Instead of effortlessly distributing blood throughout the body, the system will let blood flow up toward our head and chest, significantly increasing the body’s risk of developing high blood pressure. In more serious scenarios in which the delivery of oxygen is compromised because of weightlessness, the body’s risk for cardiac arrhythmia is also a concern. Because muscles don’t have to work as hard against the force of gravity in space, important muscles can begin to waste away. While losing muscle density is inevitable, astronauts stationed at the ISS make it a point to exercise for a couple of hours every day to make sure their calf muscles, quadriceps, and muscles that support the neck and back don’t deteriorate. It’s not just astronauts’ muscles that are at risk during space travel — astronauts deployed for extended missions in space have reported worrying signs of visual impairment as well. 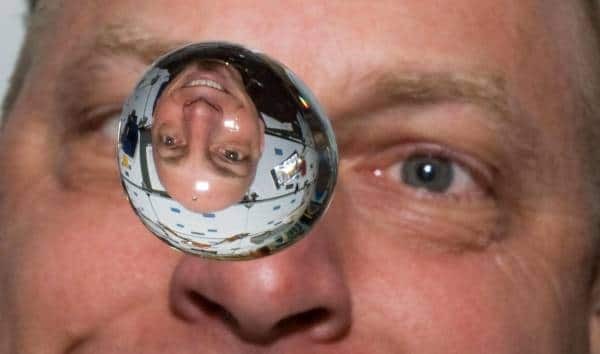 Two-thirds of astronauts on the International Space Station (ISS) have reported problems with their sight, and NASA has said it suspects that changes in the fluids in the eye and spinal cord in response to microgravity are the cause of the impairment, which is know as visual impairment intercranial pressure syndrome (VIIP). Thankfully, as advanced imaging techniques are developed, we should be able to better understand and regulate the link between brain pressure and microgravity. Some people on Earth worry about radiation exposure from devices like smartphones, but in space, astronauts have to contend with radiation levels far higher. “In space, it’s between a 100 and 1,000 times higher dose rate [of radiation] than on Earth,” Southwest Research Institute (SwRI) scientist Cary Zeitlin told SPACE.com. And that exposure includes cosmic rays, a kind of high-energy space radiation that we’re shielded from by Earth’s magnetic field and atmosphere. The impact of that exposure is significant, according to a report by Medical News Today. They assert that the normal amount of radiation exposure for a person on Earth is 2.4 millisieverts (mSv), with anything above 100 mSv leading to a likelihood of cancer. Meanwhile, astronauts aboard the ISS are exposed to levels of 200 mSv, with those levels rising to about 600 mSv in cases of interplanetary travel. Just traveling to our nearest planetary neighbor, Mars, could cause genetic mutations, destroy DNA, and result in a 30 percent increase in the risk of developing cancer. Fortunately, ISS astronauts are shielded from most of the radiation by the same magnetic field that keeps us safe down on the surface of the planet, but should a trip to Mars actually happen, they would no longer be protected. To counter this, NASA is working on methods to optimize shielding and ways to develop biological countermeasures to radiation exposure. Despite our best efforts to ensure the safety and cleanliness of all spacecraft, it seems that exposure to pathogenic organisms while in space is unavoidable. According to a study published by the American Society for Microbiology, the growth of Aspergillus fumigatus, the most common cause of fungal infection in humans, isn’t hampered by the hostile conditions of space. If something as common as the fumigatus can thrive on the ISS, then it’s very likely that other, more lethal pathogens are present as well, and with the nearest hospital far from easily accessible, any infection could pose serious consequences. Future improvements in living quarters and the development of smarter tech capable of providing medical diagnosis and treatment in space will ensure that little health problems don’t become big ones once an astronaut is in space. The negative impact on the health of astronauts isn’t limited to their physical well-being — being stuck in a small, enclosed space for months on end with other people, and knowing that you literally can’t just get out of bed, take a walk, and shake it all off can be enough to inflict serious psychological trauma on a space traveler. Much research and testing is conducted to ensure astronauts don’t experience mental health issues during their time in space, and as longer missions are planned, even more rigorous studies will be conducted prior to lift-off. Keeping astronauts as healthy as possible as they embark on these often lengthy missions may be difficult, but it’s not enough to deter intrepid space pioneers. 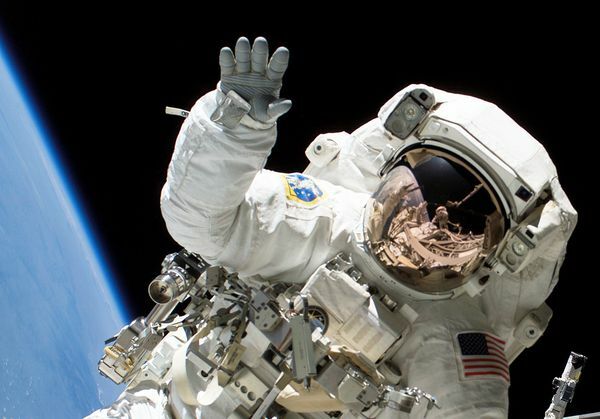 Despite the risks being duly noted and addressed through extensive research on how space conditions affect human biology, NASA received applications from more than 18,000 would-be astronauts in 2016, breaking the record for the number received in a single year. Hopefully, today’s research will one day make traveling through space as safe as travel here on Earth.